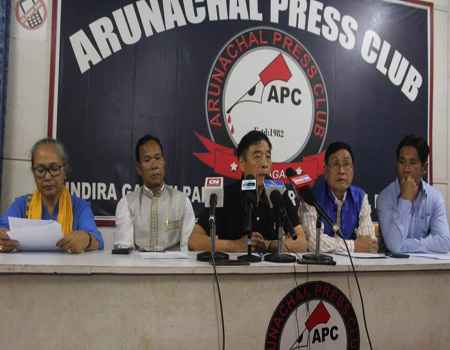 ITANAGAR, Feb 5: Environment & Forests Minister Nabam Rebia has expressed serious concern over the degrading quality of education in the state. Speaking during REILA (Recreation, Entertainment, Information & Literary Activities), the annual college week celebration of the Rajiv Gandhi Government Polytechnic (RGGP) here on Tuesday, Rebia blamed the teaching community for the education scenario. “Some of our own local teachers are mostly found absent from schools and engaged in their personal work. This directly affects the quality of education. When we raise this issue the local teachers express displeasure, but the truth is bitter,” Rebia said. He urged the people, especially the younger generation, to shoulder the responsibility of developing the state. Rebia also said the RGGP has the potential to be converted into a degree engineering college, and assured to speak to the chief minister in this regard. Higher & Technical Education Director Dr Tayek Talom in his address informed that Arunachal would soon get two government engineering colleges. “The work on the engineering college in Toru in Papum Pare district is going on in full swing. To add to it, the foundation for another engineering college, in Tezu in Lohit district, has also been recently laid. Once completed, these two colleges will improve the quality of technical education in the state,” said Dr Talom. Earlier, RGGP Principal Dr AK Tripathy narrated the institute’s history and highlighted its achievements. 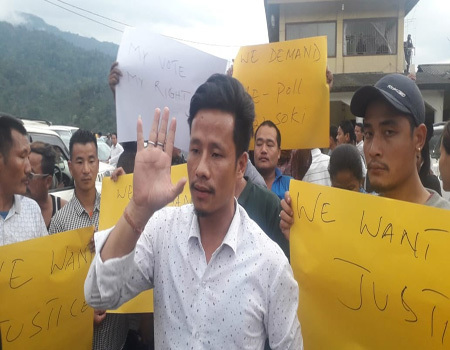 RGGP Students’ Union general secretary Talo Hiri submitted a memorandum to Rebia, highlighting the issues confronting the institute. The main demands of union are repair and maintenance of the boundary wall to reduce land encroachment; upgrading RGGP to a degree college; and construction of an indoor stadium, a basketball court and a gallery. Informing that the college is facing constant threat from land encroachers, Hiri sought the assistance of the state government in this regard. Students’ Proctor Ayem Pertin Taba also spoke.